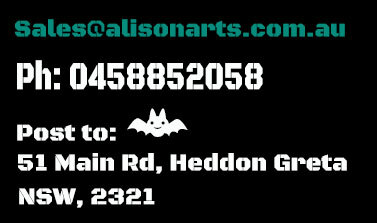 The Alison Arts airbrush studio is located at Heddon Greta, right next to the Hunter Expressway. Super close to both Maitland and Newcastle in the beautiful Hunter Valley of NSW. we just ask that you let us know before calling in. 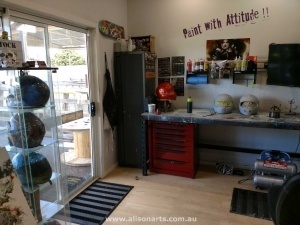 Weekend appointments can also be organised for dropping off and picking up. Your location is not a issue, a large percentage of our work is from interstate.